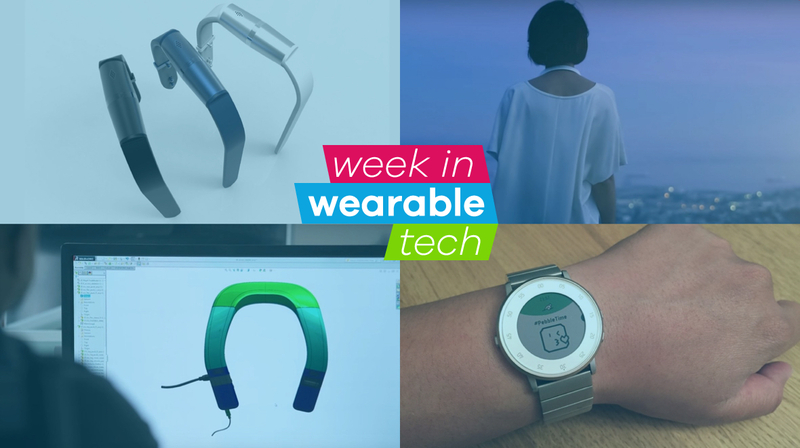 Next week is set to be a huge week for wearable tech with PlayStation VR expected to get a launch date, the Wearable Tech Show taking place in London and maybe even more details of the Casio Android Wear smartwatch being revealed. SXSW has kicked off in Austin and, ahead of the show, Fossil revealed the latest tracker that it will de demoing. The Fossil Q Motion tracks steps, sleep and all the usual metrics. There's no display, and the design is fairly minimal, but it's clear that Misfit has had a big hand in the features - it looks a lot like the just-launched Misfit Ray. Also expected to be unveiled at SXSW, Sony teased a new wearable concept this week that goes by the codename "N". The only details we have so far is that it's going to have a hands-free interface and promises to change the way you experience audio information and sound without putting anything inside your ears. The innovations that brought the personal trainer to your wrist reaches back decades. Whether you're a Fitbit or a Jawbone junky, we traced the genealogy of your fitness tracker. Pebble has brought some big features to its entire smartwatch line including a new notification tab, improved language support and jumbo sized emojis. From measuring emotion and analysing your sweat, we took a look this week at how fitness trackers and smartwatches will be tapping into even more biometric data in the future. Every week we pick out the most promising ideas hoping to get crowdfunded to make their ideas a reality. This week the focus was on Pins Collective. The Pins syncs with your smartphone and allows you to add any design - moving or still - to the digital badge.